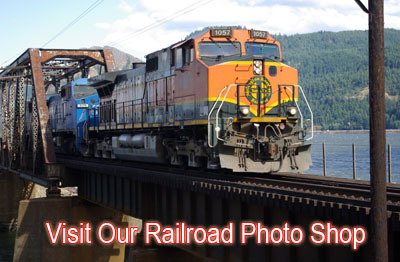 We have been serving train and rail fans, model railroaders and railroad and train enthusiasts for the past 34 years! **IN STOCK: QUALITY EDUCATIONAL TOYS! Looking to get your kid off the couch, out from in front of the TV screen and hands-on with some quality educational toys? Our inventory includes many diferent toys for all age groups that are guaranteed to provide an educational and interactive experience for your child. 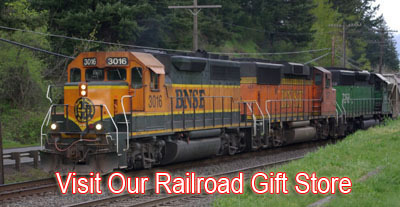 Are you shopping for gifts for the ENTIRE family... visit our Train and Railroad Gift Shop! Let RailPhotosUnlimited.com be your ONE STOP SHOP for Quality Children's Toys! All of our Toys are interactive, educational and sure to enhance your child's learning. From history and geography to sounds and colors, shop our expansive selection of educational toys today! Whether snug at home or out and about, this zoo animal sound puzzle children choose time after time. 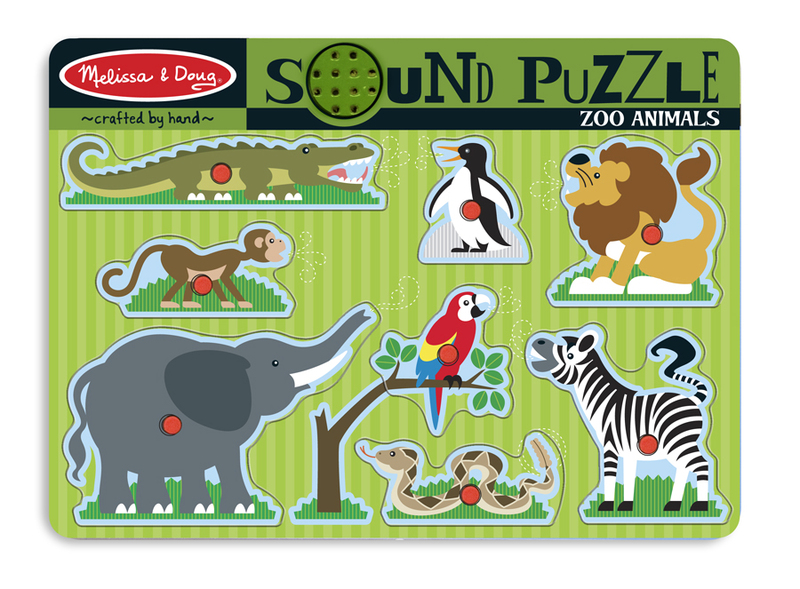 This Melissa & Doug classic sound puzzle triggers a realistic sounds of different zoo animals by placing the 8 pieces correctly in the puzzle board. This ear catching zoo animal sound puzzle enhances matching and listening skills. 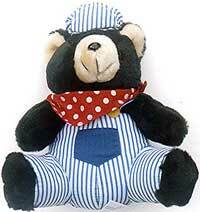 This cute cuddly, plush black collectible railroad engineer stuffed teddy bear is dressed in blue and white striped overalls and hat and is wearing a red kerchief around the neck. This black teddy bear sits 9" high. Insert the axles, attach the wheels and decorate this wooden train engine. 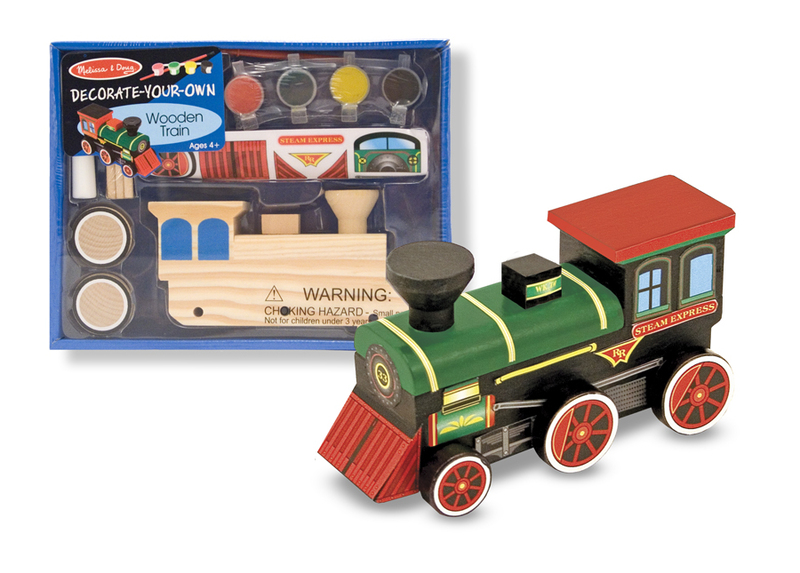 The convenient tray contains everything to design a one-of-a-kind train: craft glue, paints, brush and stickers. When complete, the engine is ready to roll! 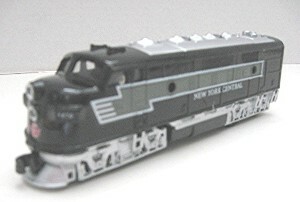 Pull back this classic "New York Central" friction/pull-back diesel locomotive and let it go. Die-cast metal with plastic parts. 7" long. 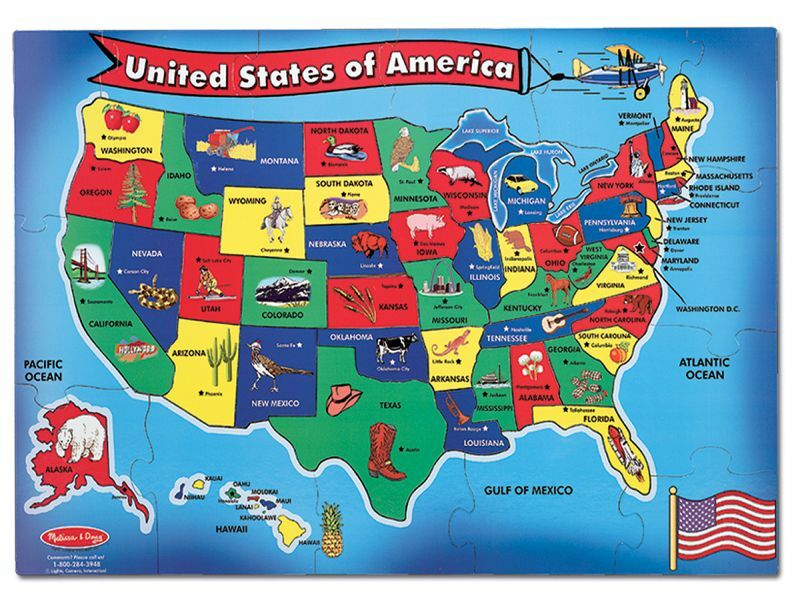 This high quality, low priced, colorful floor puzzle is an easy and fun way to learn states and their capitals and even the oceans while putting together the jumbo pieces and is 20% thicker than other floor puzzles. It is made of heavy-duty cardboard with an easy-clean surface that keeps the puzzle looking new. 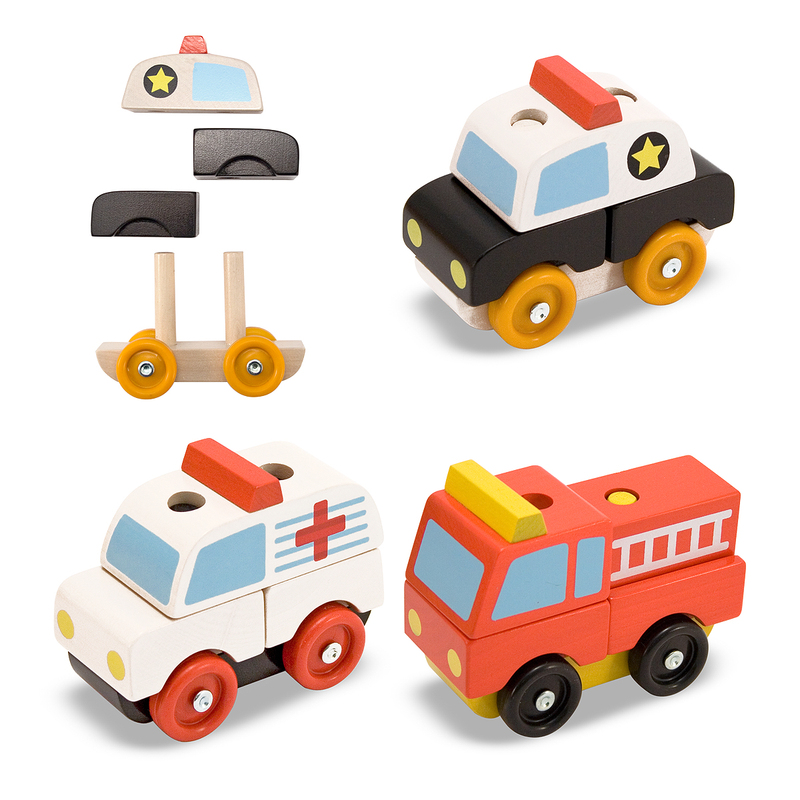 Ready for anything, this set of three chunky wooden vehicles includes a fire engine, a police car, and an ambulance. Each vehicle has a freewheeling base and is constructed of solid wood stacking parts. The fun is endless-- they can be taken apart and rebuilt again and again! 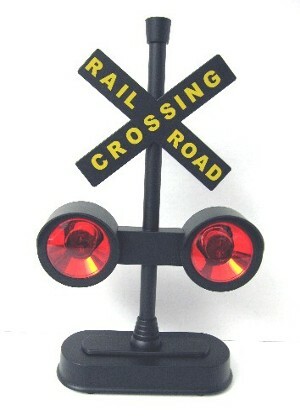 Show your love of the railroads with this realistic railroad crossing! It features alternating red flashing lights and sounds that can be operated together or separately. 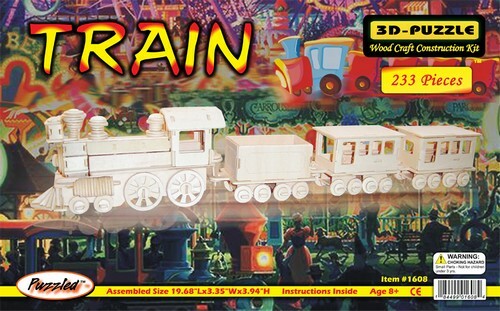 This build-it yourself 3-D wood-craft kit includes laser precut sheets of wood you simply punch out and snap together in numbered order to create this collectable 4 piece train set. Requires no cutting, no cutting tools and no glue, making it safe and easy for children. Each kit comes with step-by-step illustrated instructions and sandpaper for smoothing rough edges. The finished design can be left natural, painted or stained as desired. 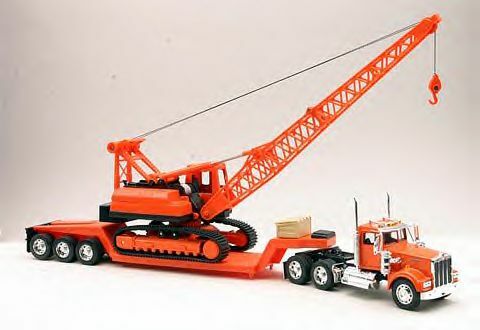 This NewRay 1:32 scale 1979 Kenworth W900 tractor with a triple axle lowboy trailer, including a hydraulic track crane Model 325L, also features a die-cast metal cab, functional door, rubber tires with moving wheels, and various moving parts. Great for collectors and kids. 23" long. This beautifully detailed Lamborghini Gallardo is from our City Cruiser Collection. It features die-cas metal and plastic parts, rubber tires, a full interior, and the doors are functional for realistic operation. This car is 1:32" scale. 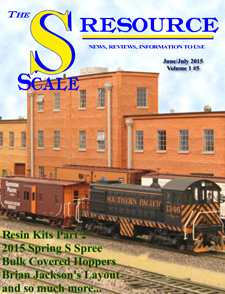 Please browse our Railroad Gift Store for train, railroad, semi-truck and construction equipment and other items chosen for their uniqueness and quality in our Train and Railroad Gift Shop.